It’s that time of year when many carmakers decide to help customers through its dealers’ doors by offering special editions, extra equipment and lower prices and that’s true of the SEAT Toledo. The SEAT Toledo is often overlooked by people looking for a practical, roomy family car but this Spanish stalwart (though it is actually built in the Czech Republic) is worth a second glance. This was a great car when it was launched in 1991 and offered a viable alternative to many of the family saloons on offer and now with prices starting at just £10,000 for a five seat SEAT Toledo with a big boot, it’s just as impressive. SEAT is proud of the fact that its Toledo is now offering even more equipment for the asking price and buyers of the SEAT Toledo SE will find that they get more than £1,000 worth of extra kit. But that’s not all, SEAT is also revamping other models in its range to add vigour and value with the SEAT Leon FR TDI now available with the impressive DSG automatic transmission. 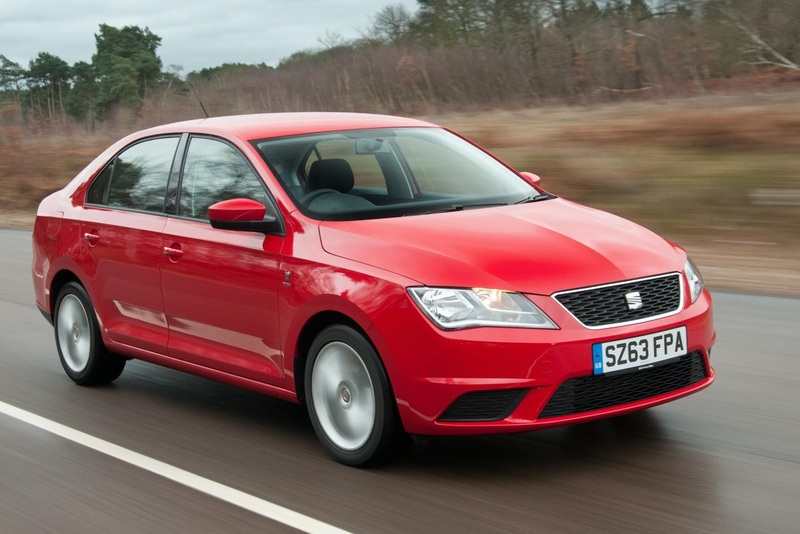 The SEAT Toledo has always been aimed at offering a decent car for buyers on a budget and until the end of this year, the range has had £2,500 chopped from the entry price. While some may find that the SEAT Toledo E 1.2 12V is underpowered for their needs, many drivers will find it more than adequate and will enjoy the spacious, well equipped vehicle. The most expensive SEAT Toledo weighs in at just £15,340 for the top of the range SE 1.6 TDI Ecomotive. The extra equipment for this vehicle includes rear parking sensors, multifunction steering wheel, rear electric windows, air con and a six speaker stereo with USB port. Depending on the model, other additions include the firm’s Media System 2.2, which was previously a £700 option for buyers, and has a colour touchscreen with satnav, DAB radio and Bluetooth audio streaming. However, one of the most striking aspects to buying a SEAT Toledo has always been the size of its boot. Even with five adults seated comfortably, the car has a huge 550 litre boot which is accessed via a big hatchback tailgate. The range is also unbelievably economical with the Ecomotive S version returning 72.4 mpg on the combined cycle and the 1.2 TSI 105 PS petrol model returning an average of 56.5 mpg. The SEAT Toledo will do what most people expect from such a car and the entry price for the base model will undoubtedly attract attention for what is a well-built and practical, as well as economical, car for the family. This entry was posted in Car Leasing, Cars, Family Car, Popular Cars and tagged lease a SEAT Toledo, seat, seat toledo, Toledo by Steve Lumley. Bookmark the permalink.